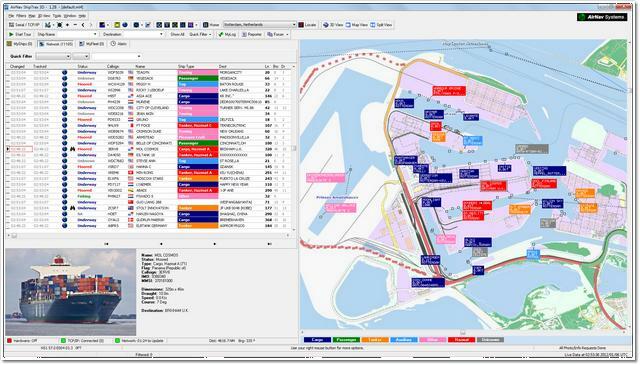 AirNav ShipTrax is a good Windows based vessel traffic application. AirNav receives data for vessels from lots of sources (AIS, TCP/IP, AIS Networks) you are going to be able to find ship positions all over the world in real-time. The product is popular in the marine traffic community in the development of high-tech award winning aviation solutions. One of the few AIS Receiver with USB + Serial + Ethernet simultaneous output. Software 100% compatible with any other AIS receiver or TCP-IP feed.